The photos in this post were taken by Dave Trask. 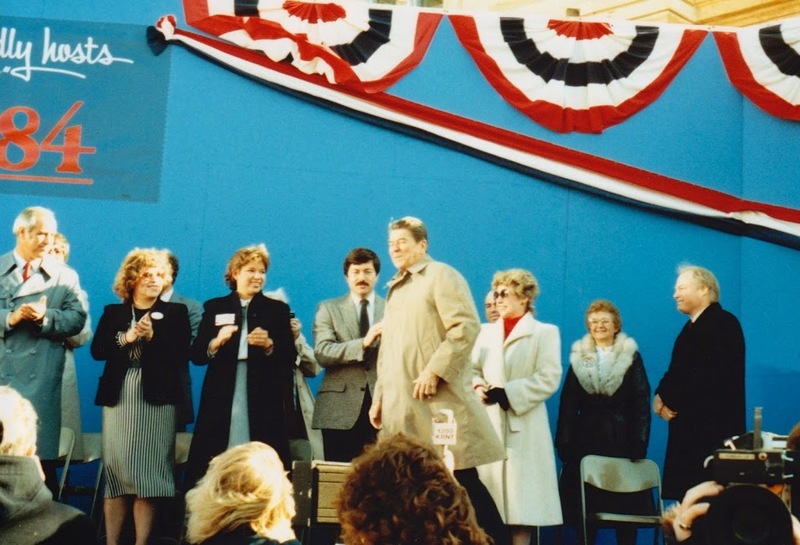 From left to right, Jim Ross Lightfoot and his wife; Chris and Governor Terry Branstad; President Ronald and Nancy Reagan, Mary Wildin, and Jim Leach. 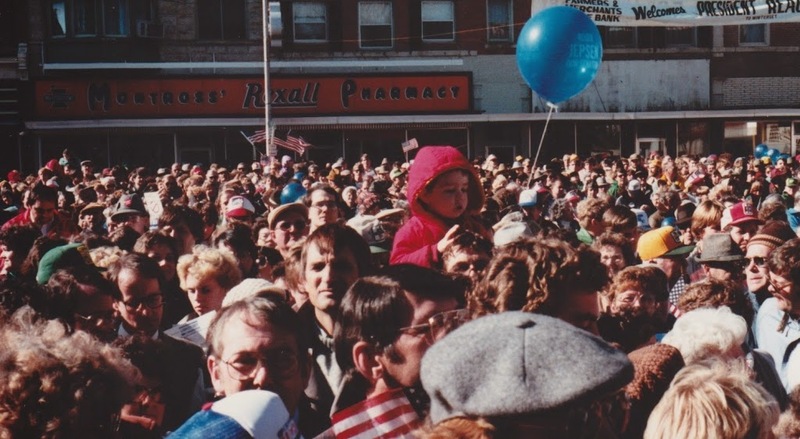 In 1984, John Reed was the county chairman for Roger Jepsen’s reelection campaign. Jepsen needed all the help he could get (my dad described him as “toast” heading into that election), as he was running against U.S. Rep Tom Harkin. 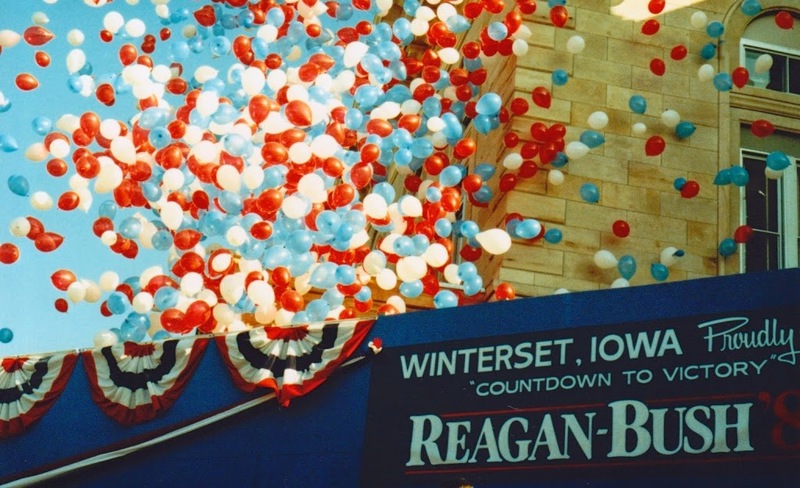 John wrote a letter to the White House inviting the President to come to town for a campaign appearance with Jepsen, and called on his friend and Truro native Robert Roby, who was working for Governor Branstad at that time, to follow up with an invitation from the governor’s office. They didn’t get a response until the last minute — and then suddenly, with just under a week to prepare, they found out he was on his way. A preliminary team from the White House and Secret Service came and got to work preparing the town for his arrival. 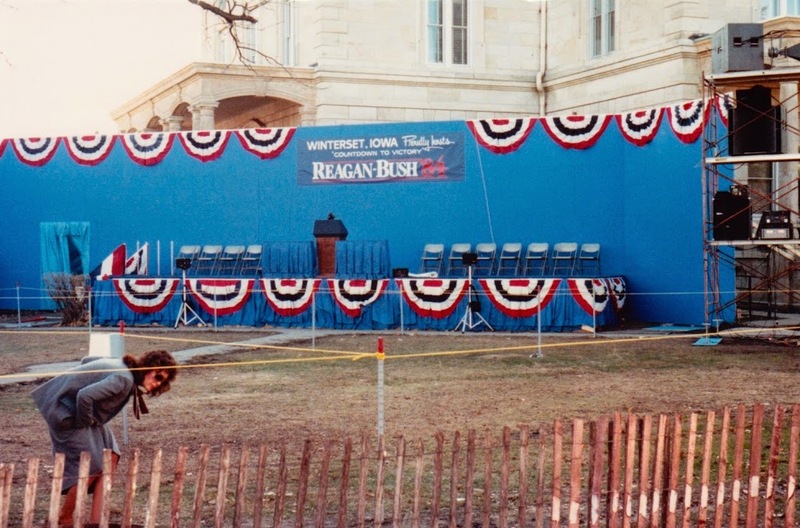 Buildings were inspected, merchants were notified that they would be closed during the event, a big stage was erected on the northwest corner of the courthouse, and a direct phone line to the White House was installed, in addition to other communication and security technology. Security was tight, although I can’t even imagine how much more so it would be now. My dad and Uncle John recall an incident in which a truck with an Iowa Hawkeye logo was mysteriously parked near Farmers & Merchants Bank on the Friday night before the event, probably just for publicity. The driver never came back for it, nor could they find him, but the Secret Service guys weren’t going to have it. They opened up the back of the truck and put the dogs in there first to make sure it was clear, and then they hot-wired it and drove it off the square and left it. John remembers at least one time that the specially installed phone was used, although not for an issue of national security. The Winterset football team was supposed to play Harlan in the playoffs the same day as the President’s visit, and it would not have been possible for the students to attend both events. 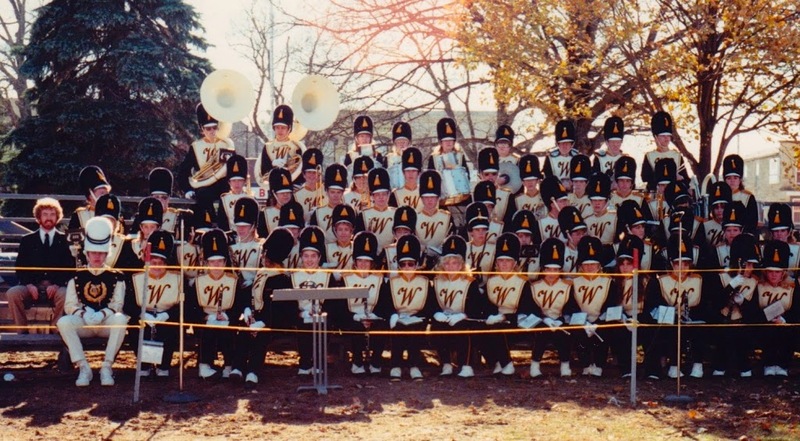 Those in the band, who had successfully auditioned with White House staff to play “Hail to the Chief” as Reagan took the stage (this was not a given — they would have played a recorded version if our band was not up to snuff), were faced with an impossible choice. As you can imagine, the parents and students were not pleased, and Harlan was ready to accept a win by forfeiture. John asked the White House team if there was anything they could do, and one of them picked up the special phone and asked to be connected to the Iowa High School Athletic Association. A few moments later he was overheard explaining to Bernie Saggau’s assistant, covering while Saggau was out of town, that there was a “situation” they needed to address, and it would “please the White House” if the IHSAA would take action to postpone the game. The staffer reported that the response could not have been nicer, and the game was postponed. And of course, we entertained them with our finest, including Eddie and Daisy Dell Benge. The corners of the square were blocked with school busses so that there would be no line of sight from outside it, and there were snipers positioned on top of buildings around the square. The businesses did close, except for one restaurant owner on the east side that stood his constitutional ground. (The Secret Service agreed that he did not have to technically close, but that there would be an agent standing beside him the whole time, and nobody would be permitted to enter or exit his building. In effect, he was closed!) 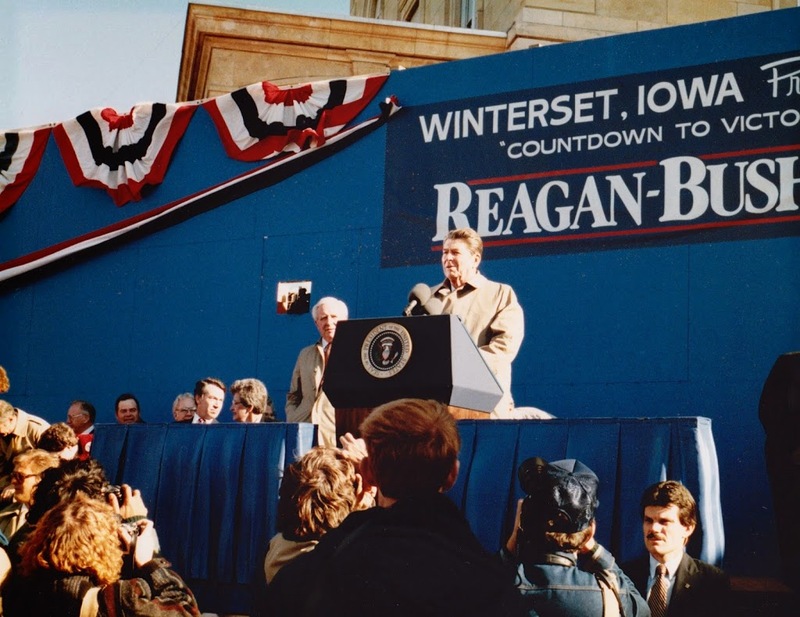 The President arrived in Winterset by way of a pair of helicopters — his real ride and a decoy — and then was driven in from the north, eventually pulling up beside the courthouse. 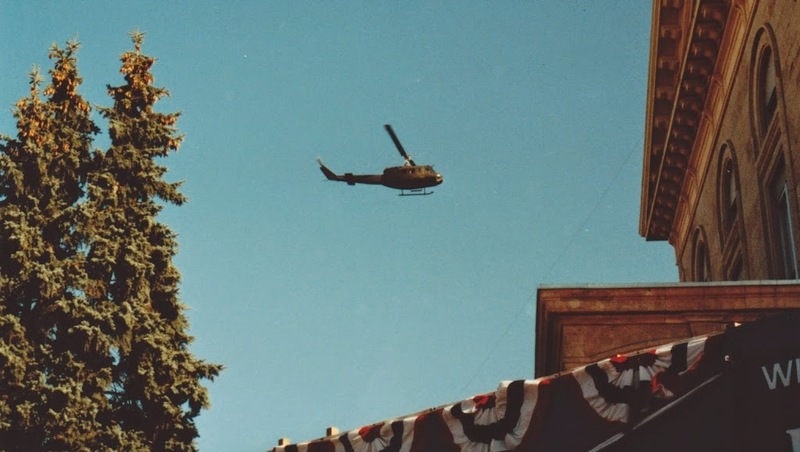 Other helicopters were used to patrol the area. 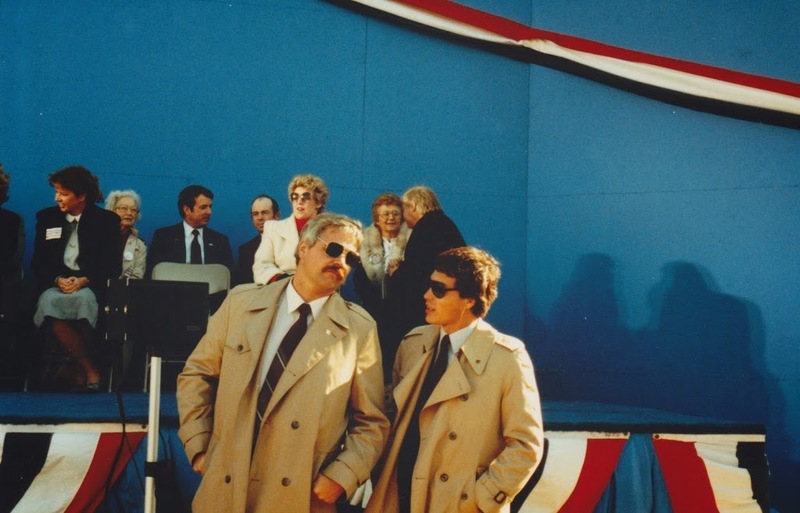 These guys look like an 80s movie version of the Secret Service! Being just three days from the election, this visit was national news. 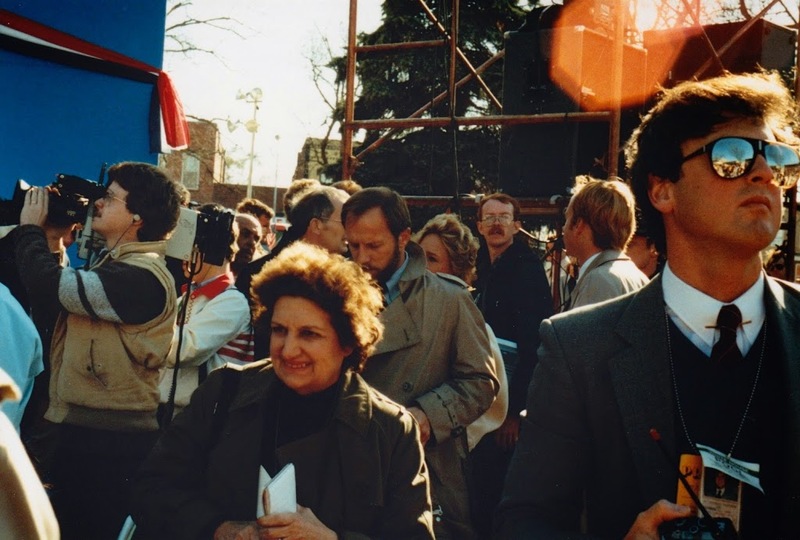 The place was crawling with celebrity reporters, including Ms. Helen Thomas. John Reed and Ken Callison, who also did a lot of setup work for the event, did not end up getting to see the speech at all. Between the two of them, they had individually blown up hundreds of balloons to be released at the end, and they were positioned backstage to make sure the plastic was ripped off at just the right time to make it happen. “Once you were in position, there was no moving around,” John said. Even though they each had a White House Staff credential for the day, which allowed them to cross all security lines, John was informed that if he so much as stuck his hand out to shake the President’s hand on his way into the courthouse, the next thing he knew he’d be lying on his back with a Secret Service agent on top of him. After the speech, the President went to see the birthplace of his friend, John Wayne. 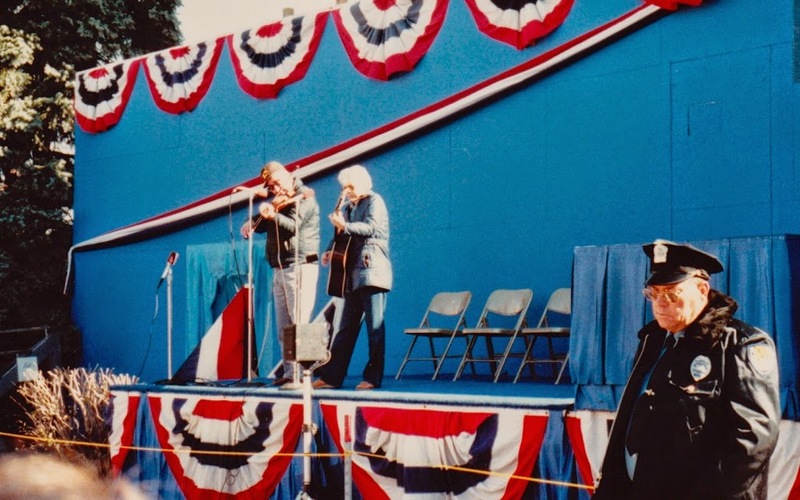 Two of John Wayne’s daughters, Toni and Melinda, made their first visit to the John Wayne Birthplace at the same time, to tour with the president. They were escorted by Ken Weldon and Delpha Trindle of Winterset. Click here to read the President’s remarks to reporters about that visit. When it was over, the secret service and White House pre-team staff went to John Reed’s house, to have a piece of cake at his daughter Angella’s birthday party. Three days later, on November 6th, Senator Jepsen lost to Tom Harkin, who remained in office for the next 30 years. 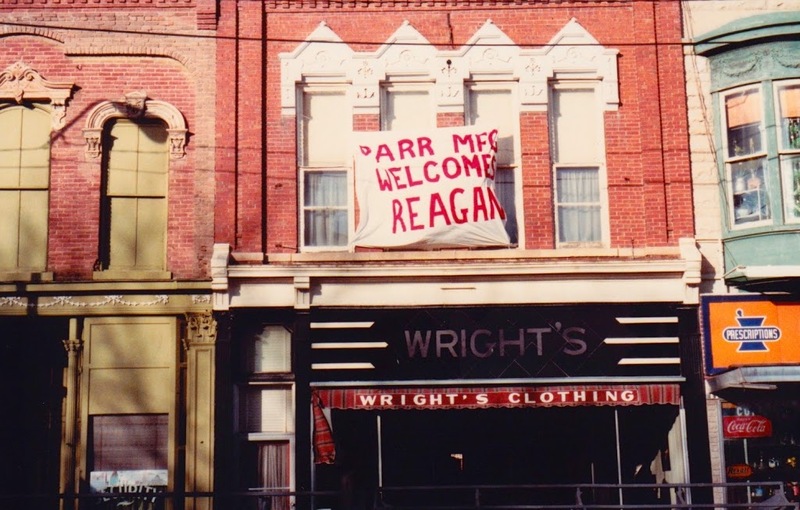 President Reagan won reelection. I watched the returns with my dad on a black and white portable set at Ben Franklin after hours, while we unboxed and priced new merchandise, and he taught me what the word “landslide” meant. The Winterset Huskies lost the football game, 28 to 0. It’s a day I will always remember.